SONA 2017: What’s in it for China in Duterte’s ‘Build, Build, Build’? In his second State of the Nation Address (SONA), President Duterte as expected mentioned his grand infrastructure plan. There was special mention of China that Duterte said generously offered money for his “Build, Build, Build” program. “If your Congress has no money, we will give you money” was what the Chinese supposedly told him, the President said in his speech. Duterte in his SONA made the Chinese offer look like simple altruism and generosity. But in reality, on top of making Chinese imperialism appear benign, using soft power by bankrolling the country’s hard infrastructure profits China’s economy in various ways. The concerns that Duterte’s infrastructure plan would result in a heavy debt burden are valid. After all, the price tag of what economic managers call as the “boldest infrastructure development program” in recent history is a whopping Php8 to 9 trillion. Economic managers, however, assure the public that they have everything figured out. The plan is that government appropriations, not debt, will mainly fund the so-called “golden age of infrastructure”. The Finance department’s tax reform package aims to raise Php157 billion in additional revenues a year; the version passed by the House could generate Php130 billion. At Php8 to 9 trillion, the annual cost of building infrastructure from 2017 to 2022 would be Php1.6 to 1.8 trillion. Clearly, the additional revenues from the tax package will not be enough even as it bleeds the poor dry. In reality, the infrastructure program would be mostly debt-funded. But again, the public is being told that a debt crisis will not rear its ugly head. In fact, the Budget department expects that by the end of President Duterte’s term, the debt-to-GDP ratio would even fall to 38.1% from 40.6% in 2016. Such optimism hinges on the economy not only sustaining its expansion but posting even more rapid growth. To outpace debt, the gross domestic product (GDP) must grow by 6.5 to 7.5% this year and 7-8% between 2018 and 2022. It is tough to be as upbeat as administration officials given the structural weaknesses of the economy and amid a global crisis. For this year, debt watchers and creditors put Philippine GDP growth at 6.4 to 6.8% – below the range being hoped for by the economic managers. That’s the most bullish the projections could get. Whatever rate the GDP grows by, the budget deficit is sure to increase as government ramps up infrastructure spending. The plan is to let the budget shortfall climb to 3% of GDP as infrastructure spending reaches as high as 7.4% of GDP. While a bigger deficit means greater borrowing, there is supposedly no need to be anxious as the Budget department claims they will borrow in a fiscally sustainable way. Eighty percent of the deficit would be funded by domestic debt and only 20% foreign. Such borrowing mix lessens foreign exchange risks that could cause public debt to balloon. But a review of what the Duterte administration has identified as its flagship infrastructure projects tells a different story. To be sure, the flagships – numbering 75 as of June – are just a fraction of the more than 4,000 infrastructure projects that government plans to do. They nonetheless represent the largest ones in terms of cost and are the top priorities for implementation. 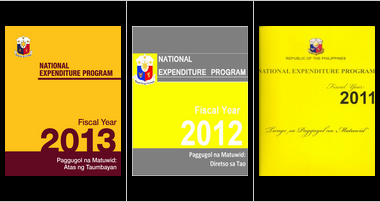 Of the 75 flagship projects listed by the National Economic and Development Authority (NEDA), 48 will be funded by foreign debt or official development assistance (ODA). 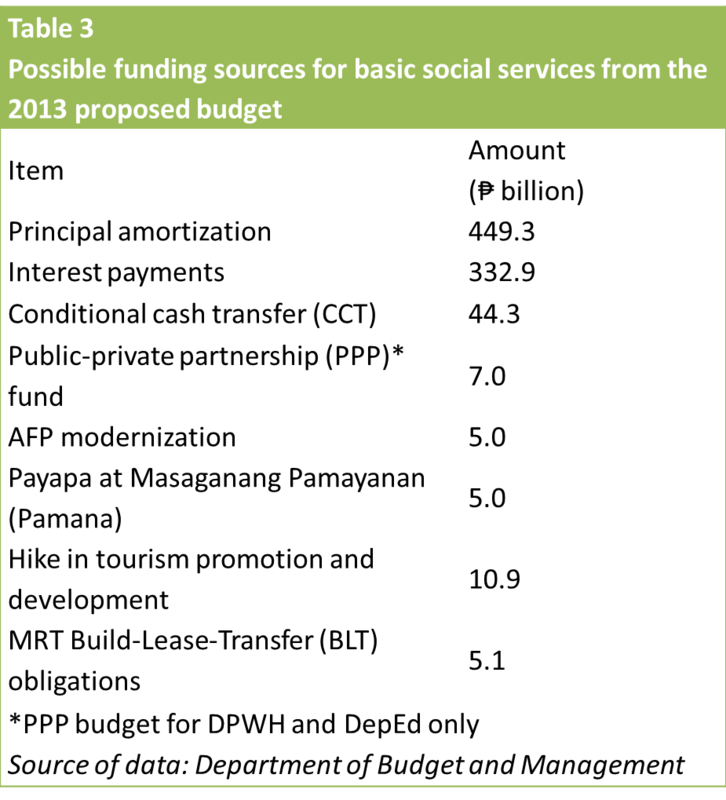 Only 14 will be bankrolled through the national budget or General Appropriations Act (GAA). Just two projects are planned to be implemented via public-private partnership (PPP) while 11 have yet to be identified which mode to use. Just nine of the 41 ODA-funded flagship projects have identified donors/creditors, based on NEDA’s June list. These are Japan with three projects worth Php226.89 billion; China, three projects (Php164.55 billion); South Korea, two projects (Php14.06 billion); and World Bank, one project (Php4.79 billion). The Chinese and Japanese are backing the Duterte administration’s largest mega-projects, an indication of how the two economic behemoths see “development cooperation” as one of the key arenas of their competition in the region. Japan is funding the Php211.46-billion PNR North 2 (Malolos-Clark Airport-Clark Green City Rail); Php9.99-billion Cavite Industrial Area Flood Management Project; and the Php5.44-billion Malitubog-Maridagao Irrigation Project, Phase II. Meanwhile, China is bankrolling the Php151-billion PNR Long-haul (Calamba-Bicol); Php10.86-billion New Centennial Water Source – Kaliwa Dam Project; and Php2.70-billion Chico River Pump Irrigation Project. Over-reliance on debt is obviously problematic but by itself tapping concessional loans to build much needed infrastructure is not a wrong policy. Sadly, ODA is shaped not by genuine development cooperation but by the narrow agenda of lending governments and the corporate interests they represent. Thus, potential economic and social development gains for a borrowing country are greatly weighed down by bloated costs of ODA-funded infrastructure. Big infrastructure lenders like China and Japan profit not only from the interests accruing from their loans to build rails and roads. The larger gains they make are from the conditionalities they tie to these loans such as requiring the Philippines to exclusively source from Chinese and Japanese firms the goods and services needed to build the rails and roads. Lenders dictate the technology, design and construction of the infrastructure to accommodate their own suppliers and infrastructure firms. 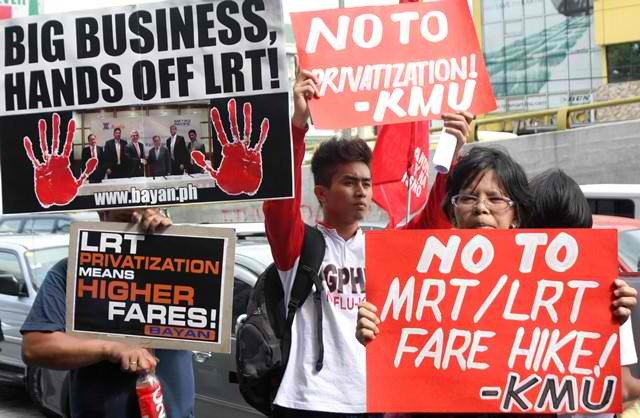 As such, Chinese and Japanese contractors are also favorably positioned to corner operation and maintenance contracts once the rail systems and other infrastructure are privatized under the Duterte administration’s hybrid PPP scheme. Lastly, creditors also favor the development of infrastructure in areas where they have business interests. This explains the concentration of Japan-funded infrastructure in Central and Southern Luzon where export zones with Japanese investments are concentrated. China’s interest in building infrastructure in Mindanao is tied to its plantation and mining interests in the region. All these make the cost of infrastructure development in the Philippines more expensive and the debt burden onerous. Tied loans for infrastructure development creates commercial opportunities for Japanese and Chinese companies that are otherwise not available to them. In China’s case, infrastructure lending in poor countries is even used to create employment for their own workforce at the expense of local labor.